The Latin term “Textus Receptus” (“the text that is received”) is often used to refer to the Greek base-text of the King James Version – the English version which, despite the best efforts of the marketers of modern versions, remains by far the most-read English version of the Bible. The Textus Receptus was published by the Elzevirs in 1624 and in 1633; it was in the preface to the 1633 edition that the term Textus Receptus was introduced. Much later, in the late 1800s, F. H. A. Scrivener attempted to meticulously retro-translate the KJV’s New Testament’s English text into readings (and, very rarely, conjectures) known to be in circulation at the time of, and available to, the KJV’s translators. 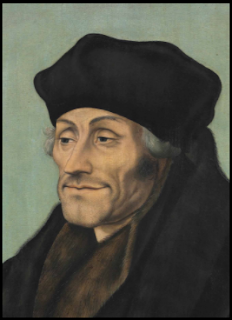 The term “Textus Receptus” is also used to refer in a general sense to the printed Greek New Testaments which were compiled and published in the 1500’s by the scholars Desiderius Erasmus, Robert Estienne (better-known as Stephanus, who standardized the verse-numbers), and Theodore Beza. It may be helpful, however, to raise the magnification-level, so to speak, with which the compilations of the 1500s and early 1600s are viewed. This may reduce the chance that people will get the impression – all too easily obtained from some oversimplifications of the history of the text – that the exact same compilation made by Erasmus that left Froben’s printing-shop in 1516 was the sole Greek resource consulted by the King James Version’s translators in 1604-1611. 23:13-14 – KJV reverses the order of these verses. 12:20 – KJV includes “Now” (ουν) in the opening sentence. 1:35 – KJV includes “of thee” (εκ σου). This difference is still echoed in the NKJV, which does not include the phrase. 2:22 – KJV says “her” (αυτης) instead of “their” (αυτων). 6:37 – KJV does not include “and” (και) at the beginning of the verse. 17:36 – KJV includes this verse. 8:42 – KJV does not include “therefore” (ουν). 18:24 – KJV has “Now” (ουν). This sample-list should be a sufficient demonstration to those who subscribe to the Westminster Confession of Faith that its declaration to the effect that the Greek text of their day was “pure” did not mean that the authors of that creed regarded every text-critical detail to be settled, as if one could answer all text-critical issues merely by pointing to a particular compilation. In general terms the KJV’s New Testament is based on the Textus Receptus but regarding some details there is not one definitive Textus Receptus, unless one uses the term to refer to compilations (the Elzevir’s compilation of 1633 being the most famous) designed to reconstruct the base-text of the King James Version. If these differences between the King James Version and some of the Greek compilations of the 1500’s are kept in mind, this will hopefully reduce the spread of oversimplifications of the history of the text. For it is sometimes said by the KJV’s promoters that its text agrees with the majority of manuscripts, which is generally true, but not in every case. Likewise it is sometimes said by the KJV’s detractors that its text is based on merely a handful of manuscripts used by Erasmus, which unfairly minimizes not only Erasmus’ extensive research undertaken before he sat down in Basel to prepare his first edition of the Greek New Testament, but also overlooks the 88 years of additional textual analysis and refinement that commenced between 1516 and 1604, some of which involved ancient manuscripts (Codex Bezae and Codex Claromontanus) and extensive quotations by early patristic sources. A great Sunday read. Thank you. Let us not forget that the world first received the NIV in the form of the 1973 NT. I think the majority of the changes between it and the 1978 NT portion were in the footnotes rather than the text. This includes footnotes that translate readings relegated to the footnotes of the UBS GNT. An example is Romans 8:1, the footnote of which in 1973 read: Some later MSS add, "who do not live according to *their* sinful nature but according to the Spirit." "Their" was later replaced with "the," and the latest NIV dropped the alternate reading entirely. "In that section [WCF 1:8] the Puritan divines affirm that the original language texts of the autographa of the Prophets and Apostles were providentially preserved in their textual purity and were now located in the extant manuscripts. They recognized that variants existed, but agreed these could be and largely had been accurately assessed and that the original text was settled. They assumed God had overseen the preservation of the text and it’s availability to His Church in all ages." Let's say that the statement you present is accurate. In that case, a compilation that has been "largely" settled is not *completely* settled; otherwise the adjective "completely" would be used. In which case, the WCF's formulators affirmed that a text which was not 100% "settled" where its form was concerned was nevertheless "pure" where its character was concerned. It follows that the purity which they affirm regarding the text as they knew it pertained to the text's general character, and not to every little detail -- some of which, as I have shown, fluctuated from one compilation to another, and/or from one English translation to another. This is the problem: you're not using Scripture to develop a theology of Scripture. One correction, Scrivener did not "retro-translate" from the KJV to produce his edition of the text presumably underlying the KJV. Rather, the text of Scrivener's edition was established primarily from Beza 1598, with changes being made to that text only when some other pre-1611 printed edition had a reading closer to that of the KJV. In addition, Scrivener supplied in an appendix a listing of places where no existing printed Greek NT happened to represent the KJV rendering. Had Scrivener actually "retro-translated," that appendix would not have been necessary. JS: Scrivener attempted to meticulously retro-translate the KJV’s New Testament’s English text into readings (and, very rarely, conjectures) known to be in circulation at the time of, and available to, the KJV’s translators. Scrivener did not "retro-translate" from the KJV to produce his edition of the text presumably underlying the KJV. Rather, the text of Scrivener's edition was established primarily from Beza 1598, with changes being made to that text only when some other pre-1611 printed edition had a reading closer to that of the KJV. "This Greek text differs slightly from other printed editions of the Received Text. It also departs in a few details from the Greek text used by translators of the KJV. In places it has a different reading from that found in the KJV (e.g. Beelzeboul for Beelzebub in Matt. 12:24; sin for sins in John 8:21; flock for fold in John 10:16). In other places it includes Greek words where the KJV translators had none, which they indicated with italics . . . . This text retains a few readings from the Latin Vulgate, two or three without Greek-manuscript authority (e.g. Acts 9:5-6) and one from the Complutensian Bible (1 John 5:7). Although we do not accept these as true Scripture, we have allowed them to remain; the appendix must serve as the needed corrective." You are both right. Scrivener in fact *attempted* to retro-translate the KJV into Greek readings known to be available to the KJV editors. That he couldn't find any printed Greek source for some readings (not even one that had earlier been retro-translated from Latin) meant that the retro-translation must needs be incomplete, which it is. I might add that, at least in one case which I'm sure of (1 John 2:23b), the only reason they left disputed text in italics was because it was in italics in the Bishops Bible, and their royal mandate did not extend to making textual changes to the English Bible. "Wherever therefore the Authorised renderings agree with other Greek readings which might naturally be known through printed editions to the revisers of 1611 or their predecessors, Beza's reading has been displaced from the text in favour of the more truly representative reading....It was manifestly necessary to accept only Greek authority, though in some places the Authorised Varsion corresponds but loosely with any form of the Greek original, while it exactly follows the Latin Vulgate." Bottom line: "retro-translation" was not involved. Just because some guy named Milne thinks the WCF's formulators meant that the TR and only the TR was authoritative, that doesn't make every reading in the TR original. Right? A text may become authoritative to whoever declares it authoritative, but declaring it authoritative does not make it original. And textual criticism is about reconstructing the original text. AJMD: "When you say "and not to every little detail" you're rejecting the religious epistemology they held to." I don't see that expressly stated in the WCF. Nor do I see where the WCF demands that Matthew 5:18, spoken by Jesus before any of the New Testament was written, should be applied to the New Testament text. I would also argue that your understanding of Mt. 5:18 is an oversimplification, as if it must mean that every letter as originally written must be preserved and be available to God's people, and all of them, for all time, everywhere. But that's another subject. AJMD: "This is the problem: you're not using Scripture to develop a theology of Scripture." I would say, rather, that part of the problem you perceive is founded on my non-acceptance of your assumptions about what the text means. Precisely the process that Scrivener describes in your quotation is what I mean when I refer to "retro-translation" -- he started with the English and produced the corresponding Greek reading, selected from the printed Greek texts available (usually but not always Beza's youngest edition) to the KJV's translators. JS: "he started with the English and produced the corresponding Greek reading, selected from the printed Greek texts available"
...Which is why is was not "retro-translated" but at best "retro-selected" from various pre-1611 printed editions. That is the point I am making, in the interest of precision.